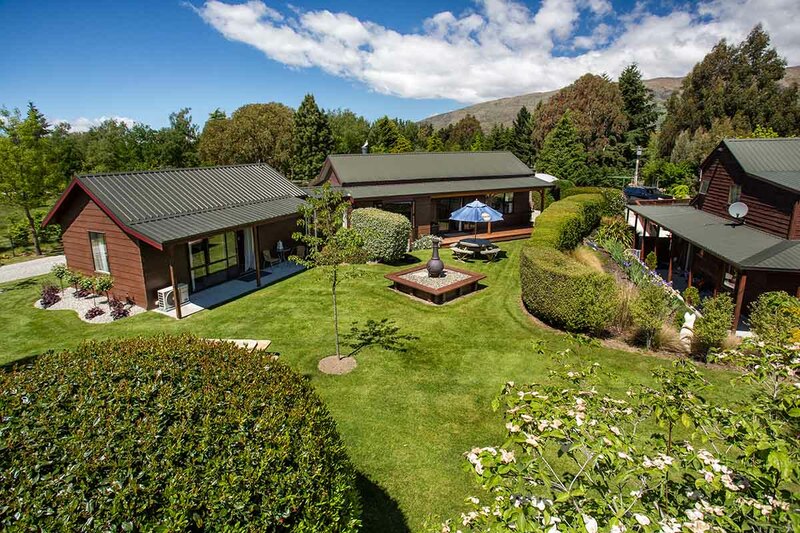 The perfect Wanaka escape for your summer or ski holiday or family trip. With studios, and 2 or 3 bedroom options our self contained accommodation is very special. Aspiring Cottage is a spacious, warm home away from home that sleeps two people. Fully self contained and opening out into beautiful landscaped gardens with stunning mountain views. The cottage has full cooking facilities and is perfect for guests wanting independence and the chance to unwind. Wanaka township is only a short 2.5 km drive and the ski fields are all within a 20 minute radius of the lodge. Perfect for a couple, this large split-level studio apartment is a great option. Up on the mezzanine is a queen bed and ensuite bathroom with a double size bath. This overlooks a sunny sitting and dining area looking out to stunning mountain views. 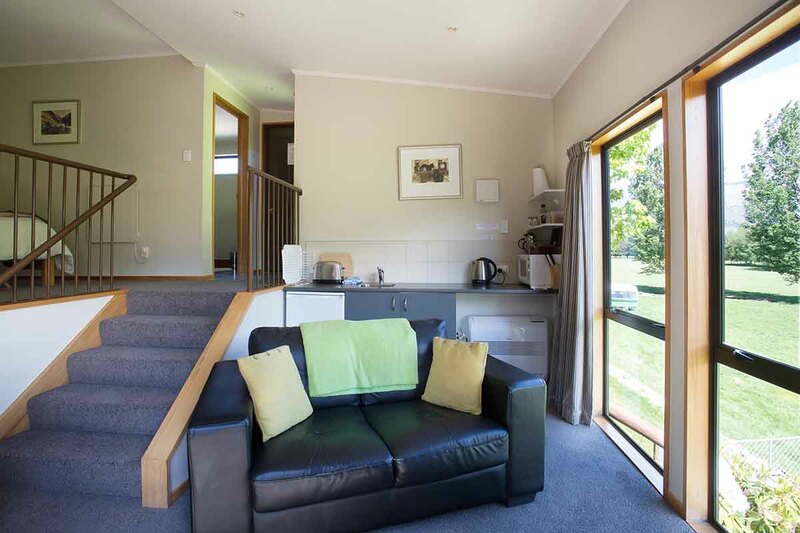 There is also a kitchenette with tub chairs and dining table and sliding doors leading out onto your own private deck with outdoor table and chairs overlooking the stunning Wanaka mountain views.Wanaka township is only a short 2.5 km drive and the ski fields are all within a 20 minute radius of the lodge. With patio doors and French windows opening onto a private sunny lawn with barbecue, garden furniture and awesome views of the Mt Roy mountain ranges, this fully self-contained cottage is a great choice for a family or a group of friends. With 1 queen bed, 1 king bed and 2 singles, the cottage can sleep up to 6 people. 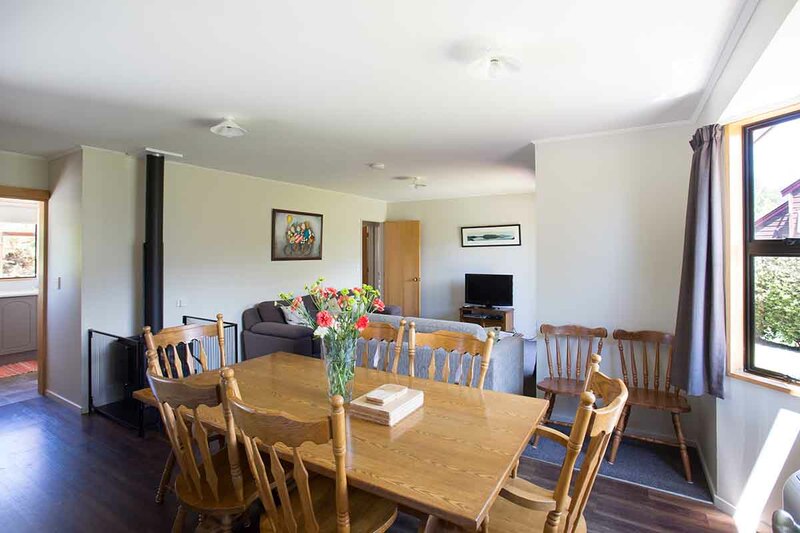 With two bathrooms (1 en-suite), a spacious lounge, dining room area with woodburner for those cold winter nights and kitchen with dishwasher and fridge/freezer, your group will be able to relax with everything they need for a great stay. The cottage also has two private carports and there are plenty of other parking spaces on site. Wanaka township is only a short 2.5 km drive and the ski fields are all within a 20 minute radius of the lodge. This fully self-contained cottage is a home away from home. It features a spacious living and dining room with a wood burner for those cold winter nights – ideal skiers’ accommodation. There is a dishwasher and fridge/freezer also. With one queen bed and 2 singles, Aspiring Cottage is the perfect choice for a family, 2 couples or a group of friends. French doors from your lounge lead out onto a shared garden and stunning views of the surrounding Mt Roy mountain range. The cottage has its own private carport and there are plenty of other parking spaces on site. Wanaka township is only a short 2.5 km drive and the ski fields are all within a 20 minute radius of the lodge. WINTER SKI SEASON RATES Contact us directly for the best rates. Please note that a minimum 5 night stay applies during the winter ski season. EASTER - War Birds Over Wanaka 2020. Please enquire.